At the end of every summer, Madeline Island hosts its famous pumpkin race. All summer, adults and kids across the island grow giant, thousand-pound pumpkins, then hollow one out and paddle in it across the lake to the cheers of the entire town. Twelve-year-old Billie loves to win; she has a bulletin board overflowing with first-prize ribbons. Her best friend Sam doesn't care much about winning, or at least Billie didn't think so until last summer's race, when his pumpkin crashed into hers as she was about to cross the finish line and he won. 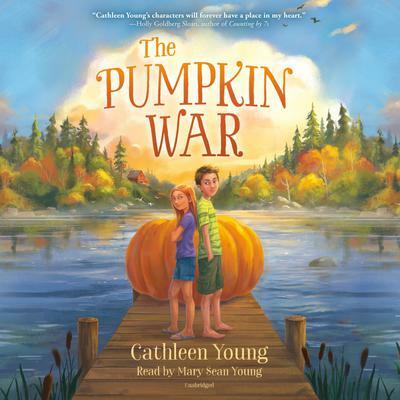 This summer, Billie is determined to get revenge by growing the best and biggest pumpkin and beating Sam in the race. It's a tricky science to grow pumpkins, since weather, bugs, and critters can wipe out a crop. Then a surprise visit from a long-lost relative shakes things up, and Billie begins to see her family, and her bond with Sam, in a new way.